The introit is “Be Still and Know that I am God,” by J. Jerome Williams of North Carolina. “O Come, O Come, Emmanuel” is the opening hymn for this service of the second Sunday of Advent. The hymn and tune come from an ancient chant, “Veni Emmanuel.” It was translated by John Mason Neale in 1851.
http://youtu.be/Mn7iFxvfn3A “Veni, Veni Emmanuel” sung by the Paderborn Cathedral Choir of Paderborn, North Rhine-Westphalia, Germany. Stonebriar Community Church is a “a nondenominational evangelical Christian church in Frisco, Texas, a fast-growing suburb north of Dallas, Texas.” It was founded by a small group in 1998 and now has 4,000 worshippers every Sunday. I wonder how Barbara Brown Taylor, the author of Learning to Walk in the Dark, the book of our book study, would explain that. The Peace Candle will be lit by Brian Mullahy, and the choir will sing about the peace candle. Invitation to the Table by Mary Kay Beall. The practice file from October 2003 is attached. The Old Testament lesson is from Malachi, the last book of the Protestant Old Testament. The New Testament lesson from Luke, chapter 3. The reader will have an opportunity to try to pronounce a lot of proper names (Trachonitis, Lysania, Annas, Caiaphas, etc.). The second hymn is “Comfort, Comfort You My People,” by Johannes Olearius, 1671, to the tune from the Genevan Psalter (1551) used for singing Psalm 42. The translation is by Catherine Winkworth. Some attribute the tune to Louis Bourgeois (~1510-1559). Johannes Olearius attended the University of Wittenberg and received an M.A. in 1632 and later, a D.D. He was an adjunct professor in the Wittenberg philosophy department. The Duke of Sachsen-Weissenfels, Duke August, appointed Olearius his “chief court preacher” in 1643 and private chaplain at Halle. Olearius died 24 April 1684. There is also a small orchestra, but you can’t hear it---at least I couldn’t. Both Bach and Pachelbel wrote choral works for the same tune [“Freu dich sehr, o meine Seele (Rejoice Greatly, O My Soul)”]. The communion hymn is “Become to Us the Living Bread” with words authored in 1970 by Miriam Drury. The tune is the French melody O FILII ET FILIAE, (O Sons and Daughters). Young people should dress up more often. http://youtu.be/wsjFezL5KdY O Filii Et Filiae (O Sons and Daughters), sung by the choir of Notre Dame de Paris. The words we will be singing were written by Miriam Drury (1900-1985) who was born in California and lived there most of her life. Her husband taught at the San Francisco Theological Seminary. At the end of her life, she lived in the Presbyterian Retirement Home in Monte Vista Grove, Pasadena, California, http://www.mvgh.org/ a faith-based, multi-level retirement community. In the U.S., the words are most frequently sung to the tune WATCHMAN by Lowell Mason, but in our hymnal, it is set to the tune ABERYSTWYTH by Joseph Parry. 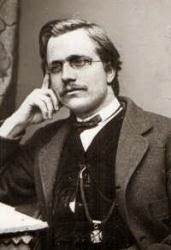 Joseph Parry was born in Merthyr Tydfil, Glamorganshire, Wales, in 1841. He died in Glamorganshire on 17 Feb 1903. From that, you might think he lived his whole life in a small region in Wales, but that is not the case. At the age of nine he was “sent to work in the puddling furnaces of a steel mill.” His family emigrated to Pennsylvania in 1854, and he was an ironworker in Danville, Pennsylvania. 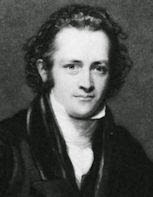 He started a music school there, then in 1865, he returned to Great Britain to study music in London and at Cambridge. In 1873, he became a professor of music at the Welsh University College in Aberystwyth, Wales, a seaside resort. You can also hear parts of the tune in the National Anthem of South Africa: http://youtu.be/Gr0414FrN7g and http://youtu.be/TdG7pEgzV5Q . The author of the words of “Watchman! Tell Us of the Night,” Sir John Bowring (17 Oct 1792 – 23 Nov 1872), was the 4th Governor of Hong Kong. He was very proficient in languages. According to Wikipedia, he was born in Exeter, “the son of a wool merchant from an old Unitarian family” and the daughter of Thomas Lane, vicar of St. Ives, Cornwall. He was known as a hyperpolyglot. He said he knew 200 languages and could speak 100. He translated many Eastern European poems into English, including the poems of the Magyars (Hungarians), Polish poems, and poems of Russia. He is the great-great grandfather of the English actress, Susannah York. The prelude is "Herr Gott, nun schleuß den Himmel auf (Lord God, now unlock Heaven)" which the bulletin shows as being by Marcel Dupre. The Offertory Is a waltz by Chopin played on the piano by Annika Johnsen. Communion music is not listed in the bulletin. John Stanley’s “Voluntary in E Minor” is the postlude. http://youtu.be/kQ7HZU7xNjQ “Voluntary in E Minor” by John Stanley (1712-1786). The organ is at the Christ Episcopal Church in Ontario, California. It is a two-manual organ, very similar to Old South Haven’s organ. The long pipes that had to be mitred (or Haskellized) in the OSH organ are simply mounted lower on the organ in California.